Blott was born in Holloway, London in 1886, and began his career as an amateur with Southend Athletic before joining Southend United. In 1908 he had a brief spell with Bradford Park Avenue before returning to the Shrimpers, moving on again the following year to Manchester United. He spent four years with the Old Trafford club, scoring twice in 19 appearances. 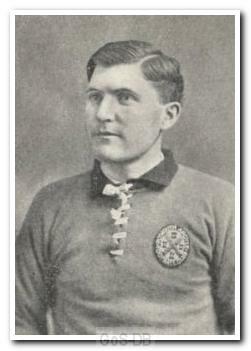 In May 1913 he signed for Argyle and spent three seasons with the club, either side of the war. He also guested for his former club, Southend United, during the conflict. An extremely versatile player, he could play at outside-left, outside-right, inside-left and left-half and was described thus in the club handbook: "At his best he is A1 at Lloyds, whether at half-back or forward. He dribbles and passes beautifully and uses excellent judgement when centreing". In June 1920 he moved on to Newport County and finished his career with a stint at Dartford.